"The CloseUp Forever Summer was supposed to be a fun event. For the most it was but for a few it was devastating. Sorry to hear about the party-goers who did not make it back home to their families. 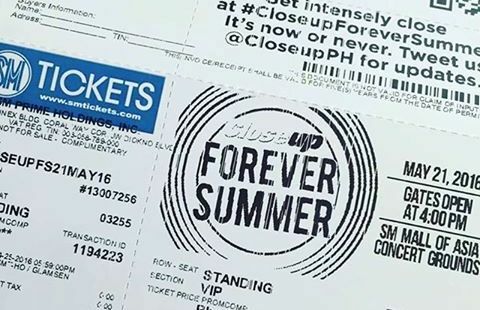 I passed by ‪#‎CloseUp‬ 's ‪#‎foreversummer‬ event on my way to a separate function. You could really feel the vibe and energy of the EDM party even from afar. We'll make it till the world ends"
Amidst all the "Tugs Tugs Tugs," who would have thought that there was already a tragedy happening. Was it a combination of alcohol, drugs and the extra loud music at that rave party organized by the Close Up brand under Unilever company? or was the rumored "green apple" or ecstasy drug really true? Some are calling the drug as "Green Amore" or "Fly High"
Whatever the cause, the organizers of the CloseUp Forever Summer rave party should be held responsible. There must be something wrong here to have 5 deaths suffering the same fate - heart attack or what they are calling fatal "dysrhythmia" which is the abnormality in a physiological rhythm, especially in the activity of the brain or heart. If that was the case, then there's definitely some form of drug that went around and the five people couldn't handle the effects and got the worst of it. 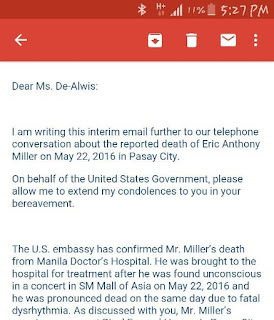 As per case of Eric Anthony Miller, the only foreigner among the five, who was pronounced dead when they took him to the Manila Doctor's hospital. He could have survived if he was taken earlier but the people at teh rave party must have thought he was just drunk and unconscious. The same goes with the four other people who must have suffered the same terrible fate. 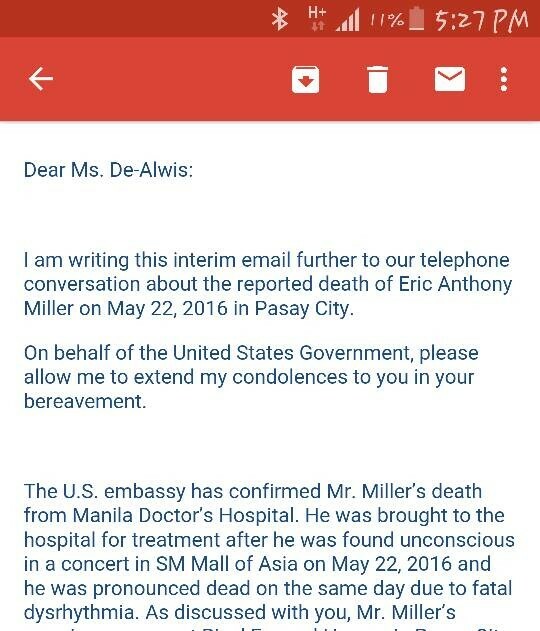 It couldn't be just a coincidence to have 5 different individuals to just die like that during the CloseUp Forever Summer rave party held at the SM mall of Asia concert grounds. Migawa, Fontejon, Leal, Garcia and Miller collapsed minutes apart and were found lying unconscious in separate areas on the concert premises while the party was ongoing. "It's saddening to know that 5 ravers passed away from last night due to drug usage. But what's disheartening that others thought that the EDM festival scene is the one to blame for this incident. Its not fair for us who just come to the festival for pure love for EDM and enjoying the PLUR vibe. This should served as a lesson those TAKERS. You really don't need a substance to feel the vibe. Also, to the organizers and production team to be more strict to kick out the ones who can't abide rules." "Closeup and its organizing agency, Activations Advertising, and staging agency, Eventscape, are deeply saddened by the events that transpired on the early hours of May 22, 2016. 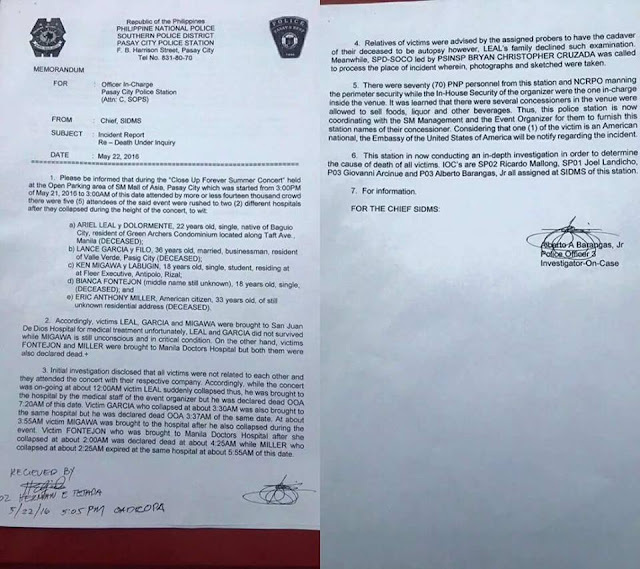 We regret that despite the very stringent measures and precautions we have put in place to ensure the safety and security of all attendees involved, this incident still transpired. As such, strict protocols were followed to immediately provide medical assistance, as well as rush all those involved to the nearest hospital where they can receive emergency care. We extend our deepest sympathies to the families of those who’ve passed away, and commit support in their time of bereavement. Likewise, our efforts are now focused on supporting those needing medical assistance so they may fully recover. We are fully cooperating with the authorities in the ongoing police investigations." I think it's about time we end these late night parties that do nothing but let out the wild tendencies of the attendees. What is so right about getting drunk and drugged while going wild and crazy with eardrum shattering music? The youth deserves better gatherings that will enhance their knowledge and well-being rather than these senseless parties that do nothing but "kill" precious time.